Does Your Inherited Risk for Ovarian Cancer Affect Your Talcum Powder Lawsuit? Some women have a genetic predisposition to developing reproductive cancers, such as ovarian cancer. If you are one of these women and you have used talcum-based baby powder in your genital area, then it can be difficult to know why you have developed ovarian cancer and what your rights may be to a fair recovery. An inherited mutation in breast cancer gene 1 (BRCA1). An inherited mutation in breast cancer gene 2 (BRCA2). BRCA1 and BRCA2 are genes that help stabilize cells and repair damage before cancer develops. However, if there is a BRCA1 or BRCA2 mutation, then damaged cells may not be repaired and, instead, the damaged cells may develop into cancer. Specific mutations in these genes can lead to an increased risk of breast cancer or ovarian cancer. Tests can be done to determine whether an individual has a BRCA1 or BRCA2 mutation. 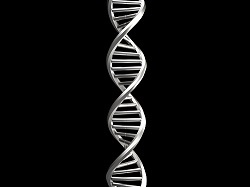 DNA may be collected from a person’s saliva or blood and sent to a laboratory for testing. These tests are important if you have developed ovarian, breast, or other certain types of cancer or if you have a family history of these cancers. Other genetic conditions, such as Lynch Syndrome, may also result in an increased risk of ovarian cancer. Family history and genetic mutations are significant risk factors for developing ovarian cancer. However, they are not the only risk factors. Studies suggest that using talcum-based powders, such as baby powder, in the genital area can also increase a woman’s risk of developing ovarian cancer. Lawsuits alleging that the routine use of baby powder caused ovarian cancer have been filed in the United States, and Johnson & Johnson has been ordered to pay millions of dollars in damages to women who have developed ovarian cancer after regularly using baby powder. If you have a genetic factor that makes ovarian cancer more likely and you have used a talcum-based baby powder, then it may not be possible for a doctor to tell you exactly what caused your disease. Accordingly, a lawsuit may be difficult because Johnson & Johnson or another defendant in a talcum powder ovarian cancer case will argue that it was genetics—not talcum powder—that caused your ovarian cancer and the science is not currently available to prove otherwise. Thus, it is important to share the findings of your BRCA1 and BRCA2 genetic testing with your attorney immediately if you are considering filing a case against Johnson & Johnson or another baby powder manufacturer. Currently, women around the country may be deciding what to do if they have used talcum-based baby powders and they have developed ovarian cancer. These women deserve to have all of the information that they need to make informed decisions about the future, so please share this blog on Facebook or Twitter so that, together, we can reach the women who need this important information. How do talc-based powders cause ovarian cancer?